There are several third-party applications with which you can integrate your HappyFox account with, using an API key and the Auth code of that particular key. Log in to your HappyFox account and head on over to Apps >> Goodies >> API and click "Enable". On the following page that loads, select "Yes" for "API Support active", under "Basic API settings", and click Save Settings to enable API integration. Under API Keys, click "Add new API Key"
Give the API key a name (this can be anything as per your preference). 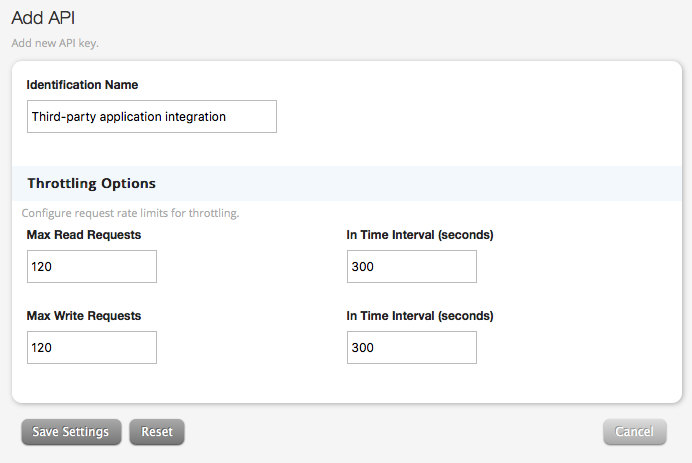 If you have any specific throttling requirements for the API, you may modify the respective fields as needed. When done, hit Save Settings to create the key. Once the key is created, you'll be able to see it appear under the list of API keys. To get the Auth code for this key, hover your mouse cursor over this row and click "see auth code". You'll then see the both the API key and Auth code appear in a separate pop-up. You may then copy and use this API key and Auth code as per your requirements. 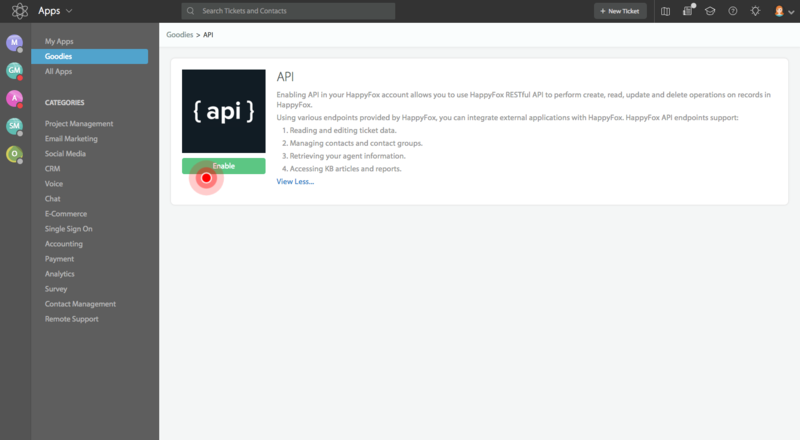 Please note, if you've recently signed up for HappyFox, your access to the API settings may be disabled. In case you require access to test out the HappyFox API, please send us an email at support@happyfox.com and we'll help you further.